﻿ Roberto Carlos: "Cristiano Ronaldo won't leave Madrid anytime soon"
02.04.2015 » Roberto Carlos: "Cristiano Ronaldo won't leave Madrid anytime soon"
Brazilian legend Roberto Carlos has recently come out to review some of his old club's most intriguing episodes. In a short talk with a Spanish radio show, the 41-year old defended both Cristiano Ronaldo and Gareth Bale, two players he doesn't believe that will be leaving Real Madrid in a foreseeable future. Regarded by many as one of the best full-backs that has ever graced a football pitch, Roberto Carlos has naturally earned the respect and admiration from many sports enthusiasts across the world. This week and during an interview granted to Cadena Cope in Spain, the retired footballer approached several topics related to Real Madrid, starting with the club's latest signing Danilo, whom he compared to Barcelona's right-back Daniel Alves. The former Real Madrid player also shared his opinion on what's been happening with Gareth Bale and Cristiano Ronaldo, stating that the two stars still have an important role in the club's future. 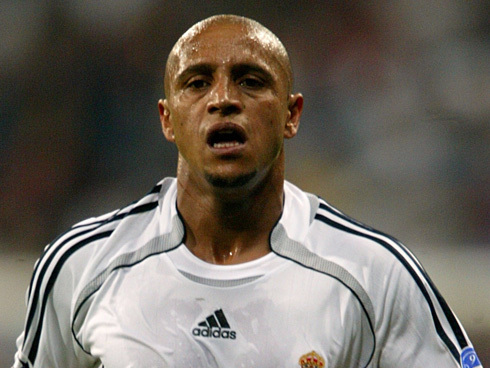 During his 11 seasons in Spain, Roberto Carlos totaled more than 500 appearances for Real Madrid, from which he won 4 Spanish League titles, 3 UEFA Champions League trophies and 2 Intercontinental Cups. During that time, Roberto Carlos' extremely powerful left-foot shot allowed him to score 67 goals for the Merengues and it's probably no overstatement to say that he may very well have redefined the full-back's role in football. Roberto Carlos: "Danilo is a good defender and in my opinion he has a very similar style to Daniel Alves. He's a very complete full-back, who defends well and attacks even better. Madrid has made a good investment on him, as I'm sure he'll be able to bring a lot of quality to this team", commented the current Akhisar Belediyespor's manager, as he tried to devalue the fact that the Merengues ended up paying 31.5 million euros for FC Porto's right-back. Roberto Carlos: "I'm a big fan of Gareth Bale. I don't think that those who claim he is too selfish at times are being very fair, in all honesty. I played with Rivaldo in the Brazilian National Team and even though I could think the same about him at one point or another, the truth is that his playing style led us to win 15 titles! These type of players are not very defensive-minded on the pitch and asking Bale to mark someone when you have Kroos near him would produce a big change in the way the team plays", stated the 41-year old. Roberto Carlos: "In football, it's extremely hard to keep playing at a high level throughout the whole season. History shows us that Real Madrid fans have alway been very tough with their own players. However, I can see that Ronaldo is still happy in Madrid and I'm confident he'll only leave the club when his contract runs out ", said the former Inter Milan, Real Madrid and Corinthians player, predicting that the Portuguese star will only leave Spain in 2018. 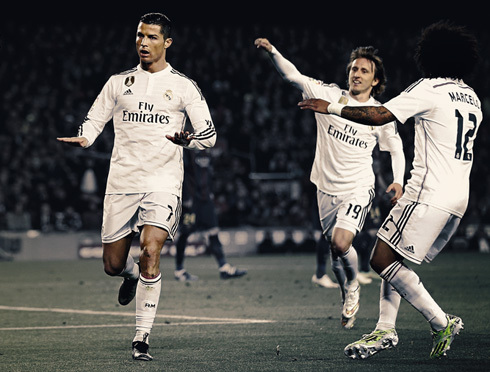 Cristiano Ronaldo next game will be for Real Madrid against Granada, on April 5 of 2015. You can watch Juventus live stream, Real Madrid vs Granada, Celta Vigo vs Barcelona, Manchester United vs Aston Villa, Arsenal vs Liverpool, and Borussia Dortmund vs Bayern Munich, all matches provided from our soccer live game pages.